American, 1905. 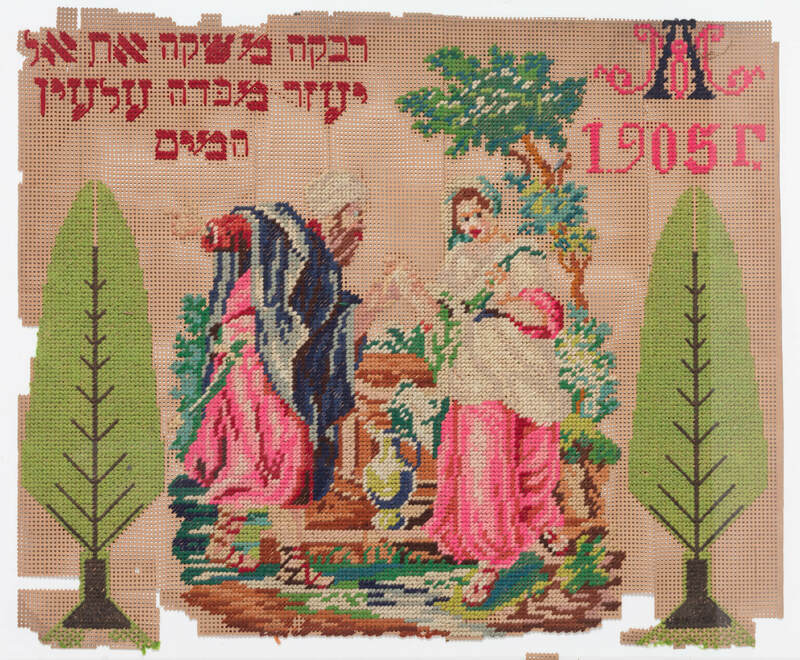 Depicting the scene of Rivkah by the well. 21” x 17.5”. Losses.